A few years ago my mother in law started a new family Christmas tradition. She gave each one of her children a little tin with a tiny object that she cast in silver. Evidently, making runs in the family. Each gift was designed to be of a specific significance to the recipient. Ours contained a miniature version of a piece of kids’ furniture that my husband designed for a university project a couple of years earlier. The idea of the little tin, is that for following Christmas all the tins would be returned with a little gift inside. We made bamboo earrings and a brooch, which didn’t get photographed. The following year al the “children” were again presented with special little gifts inside the tins. We opened ours to find a silver necklace based on the motif I designed for our wedding earlier that year. This last Christmas it was out turn to fill the tin. I decided on some sort of an owl mid November and started sketching. I wanted the final pendant (I was informed earlier that pendants are preferred for summer, while brooches get worn in winter, and owls are adorable) to be cut out of bamboo plywood and have a polished brass inlay. I cut a few quick prototypes from card and plastic to test size viability and proportions. After all that work, it turned out that the fabricator wouldn’t cut brass. A gold paint fill was a fail, so I decided on stainless steel. The steel turned out great, but all the edges needed to be rounded off to depart from the laser cut aesthetic and create a more 3D form. 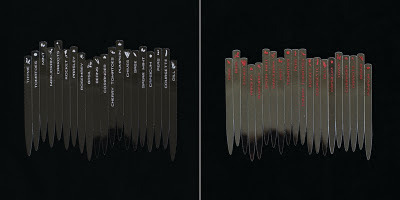 My tiny needle files didn’t make the job easy, but made it possible. Nothing is easy with stainless steel. The waxing brightened the wood grain and added contrast between the materials. Scraping out the excess wax out of all the nooks and crannies was not a task for the visually impaired. 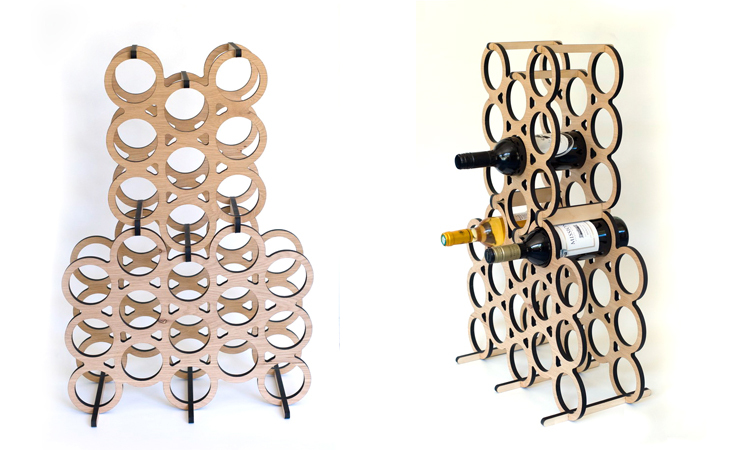 Project: modular wine rack - based on an earlier experiment. 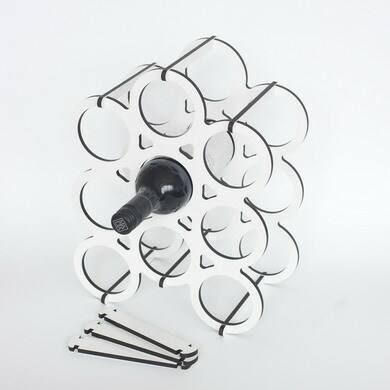 Pretty early on into the Xmas gift list planning I considered making wine racks for anyone who’d be in need of one. 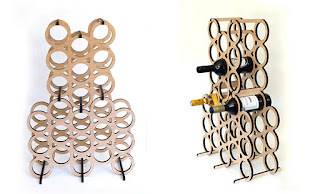 I’d just designed one as a material demo, and there was a pile of unusable veneer MDF that was taking up valuable storage space and needed using up. This was not the time to resist killing two birds with one stone. The initial design was for a 6mm material, so I had to rescale the joints for a 10mm thickness. That should be easy. And it is. But only if you’ve done it numerous time before. Unless, of course, you’ve modelled your design in a parametric CAD program, such as Solidworks. Then it’s super-easy. I miss Solidworks. Alas, I drew the whole thing with vectors, where scaling for 3D has to be done manually. 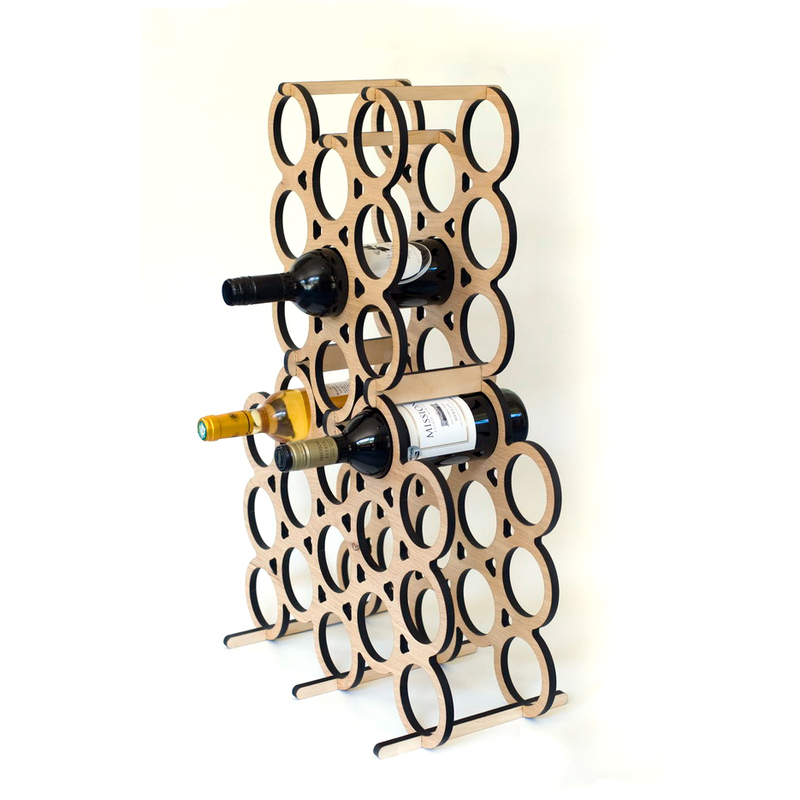 I prototyped all the joints first to ensure the fit because there was only enough material for two sets of wine racks, so there was no room for error. 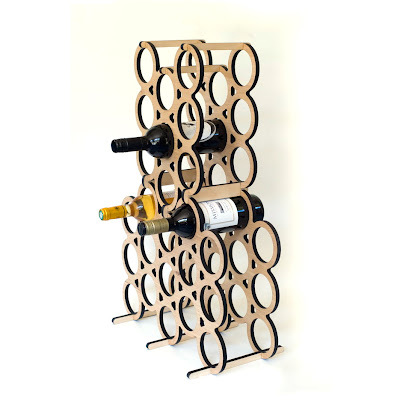 The design intended for each rack to fit onto two 800mm x 400mm sheets of material – double the original whiteboard design. Materials: flawed 10mm poplar plywood, dowel. Constraints: fit on the material scrap. Our four year old nephew is an expert in two things: dinosaurs and diggers. 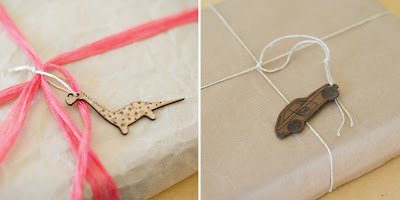 I figured that a spotted dinosaur on wheels would make a sweet present. The idea of the WoodMarvels layered profiles was a good starting point, and it was a pretty straight forward project that fit on a small sheet of 10mm Eurolite Poplar plywood. The material wasn’t suitable for Personal Factory making because it had gouges and bog on one side. The cut design was sanded, glued together and waxed. The wheel axels were the only non-laser cut component, but were cut from dowel instead. The toy was an awkward shape to wrap, so I made a quick box for it. I love food, but I loathe the acceptance of the "fat season", and everyone complaining about how much they over ate. I take delight in giving, but I struggle with the obligatory compulsion to "organise" presents for the one day of the year. Few people seem to get any enjoyment out of that. In the weeks and days leading up to jolly gifting, all shopping areas are full of people who look anything other than jolly. At least NZ doesn't see the consumer carnage like the violent stampedes overseas. The Christmas carols blaring everywhere are enough of a horrendous torture, and one can only imagine the levels of therapy shop assistants require in the new year. 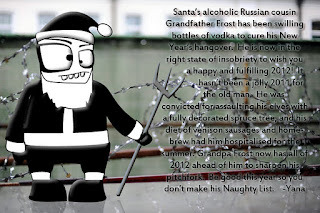 For me the only way to avoid morphing into Psychotic Santa is to use this opportunity to design and make. 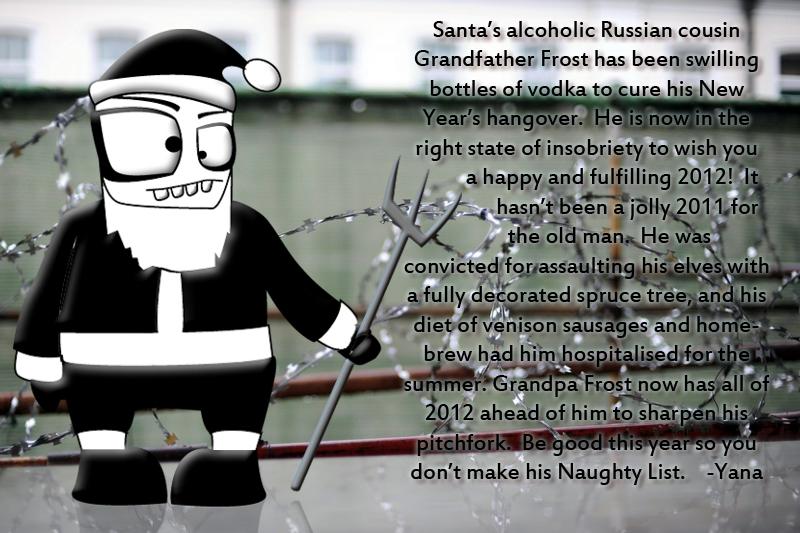 The bliss of creating cancels out the dread of Christmas spirit, and instead of sulking in a corner, I hop about maniacally with my design brain in an ecstatic overdrive. This time I finally managed to have a completely shopping free Xmas season (screw you, defective current enomic model! ), with a tiny exception of sourcing some mehanical parts for a project. I feel an incredible sense of gratification over my completely DIY gift list. ...Mmmmm DIY.... What fills me with even more delusional tree hugging bliss is that pretty much everything was created from scrap material. My moral high-horse is a freakin oversized organic monster, and I'm not getting off it any time soon. I must make a disclaimer that not all the projects are 100% my design and execution. The making and some of the design of most projects were a joint effort between me and my extremely talented, workshop dwelling other half. Materials: 6mm poplar plywood scraps, galvanised steel tube. Constraints: make two of them and design around small offcuts. 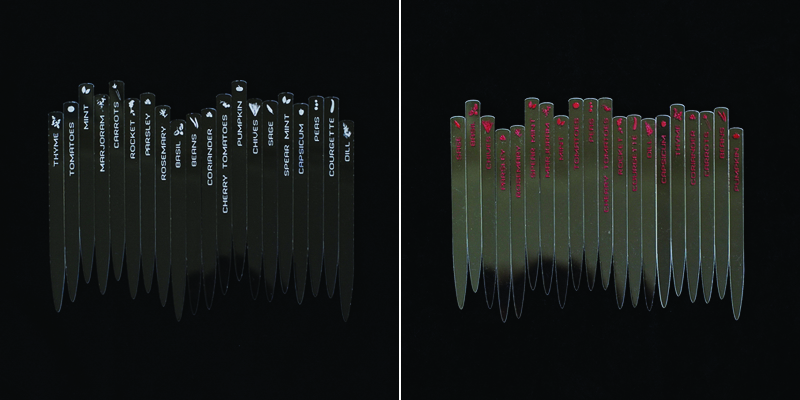 Materials: scraps of 3mm clear acrylic, 4.5mm clear acrylic. Constraints: make three sets that aren't entirely identical. Materials: stainless steel, flawed 10mm poplar plywood, misengraved 4mm technoply beech scrap. Project: food for a foodie who has everything - jams and dehydrated fruit. And then I may as well make some name tags to decorate the [reused] brown paper packaging. Notes on individual project processes to follow soon!